It is quite difficult to imagine how we could ever live without the internet. While there are some of us who would like to believe that we’re a lot better off without these technologies, a great portion of the human race take to the internet for many of their daily activities. Even children now use the internet to supplement whatever lessons they receive from school. Unfortunately, the internet can be a nasty universe as it can also be filled with trash in the same way as it can be filled with sparkling gems. What we’re trying to say is that if you truly love your kid and you believe the internet can help him or her in his or her development, then you have to consider our 15 best educational websites for kids in 2019. Ditch the DS, Wii, PlayStation, or even the Xbox and teach your kid how to logon to www.funbrain.com. Dubbed as the planet’s leading authority in online educational games that span from kindergarten level all the way to the 8th grade Funbrain boasts of an extensive collection of online games. The games, which include math, reading, and other fun learning games, have been specially designed to help bolster the learning needs of a particular age group or level of learning of pupils. Funbrain has also recently included learning videos for all age groups. These videos further supplement the learning needs of young children. There are also sections for both teachers and parents allowing for co-learning with children possible and is actually encouraged. What We Like about It – Whoever said learning should be dull and boring? 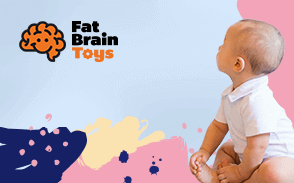 Funbrain has truly revolutionized the way children use the internet to learn a variety of concepts through the one thing they do best – play with games. There are a lot of instances when children simply don’t get what is being taught in school the first time. They often have to be taught about the same thing many times over until they get what is being communicated. Now, if schools are going to do this every time, they won’t be able to cover the whole curriculum for the year. You can help your kid by logging onto makemegenius.com. Just consider it as a home-teaching resource tool that you can use to help your child master his or her lessons right in the comfort of your house. Make Me Genius works with various school boards to digitalize the learning content of the same textbooks that children use in school. These are then presented in a way that is easier to understand. Best of all, the presentations can be viewed over and over so kids will be able to master them in half the time. What We Like about It – The overall design and user friendliness of Make Me Genius is exceptional. The timeliness and relevance of the content are also superb. Is your kid having some issues with numbers? Is your child getting bored with the same math problems in school? If your child needs anything about numbers and math in a fun and delightful way, Cool Math is the answer. This website has made learning mathematics really fun, easy to understand, and, best of all, non-threatening. It features pre-algebra, algebra, and pre-calculus lessons complete with cool animations and fun games to help your kid learn and master the principles. In no time at all, your kid can easily solve math or number problems even without the use of a calculator. He or she will do it mentally in a breeze. What We Like about It – We never did like math. And we’re pretty sure, we’re not alone. Cool Math has made this otherwise daunting subject to be really fun, easy, and enjoyable. If you’ve got a child who has a very insatiable hunger for knowledge especially on how things work, How Stuff Works is an online resource that has been providing everyone, not only children, a very simple explanation on how even the most mundane things in life work. No longer will kids be bugging you with questions like “how do people make cutlery?” or maybe even “how does a bottle opener work?” The thing is, the articles posted in How Stuff Works are presented in a manner that is easy to understand, completed with images and illustrations to help your kid understand the actual process. What We Like about It – It’s the online resource for everything your kid would want to know about how things work. Is there anyone here who doesn’t know, or has never heard of, National Geographic? Well, NGS is designed primarily for an adult audience. The discussions and explanations often contain a lot of technical terms that kids won’t be able to understand. Enter National Geographic Kids and you now have a superb source of a wide body of knowledge about the world that we live in, from the land to the people and the animals and plants that live in this home we call Earth. National Geographic Kids provide an exemplary fun and entertaining approach to providing new knowledge to children using a variety of fun and educational videos and computer games. Children can have their very own animal characters in Animal Jam while they can also secure some form of assistance for their homework. There’s even an interactive world map to help children learn about this planet we live in. What We Like about It – It’s the best and most fun way to learn about the planet we live in. Kids will learn to appreciate life itself and how the different species and elements interact with one another to create a balance in this universe. Designed not only for children but also for parents who would like to obtain invaluable tips on how to raise great kids, Jumpstart is a website worth visiting. It is actually a membership site that allows you and your kid to avail of a variety of treats, learning resources, fun games and cool entertainment, and many more. There are plenty of educational resources to help your child excel in school. Complementing these resources are worksheets and learning activities designed to drive home the principle being taught. Kids can also submit their artistic creations for posting in the website. This should be a really marvelous way for enhancing your kid’s self-esteem and self-confidence. What We Like about It – The website has a lot of activities for both kids and parents making it the preferred go-to in many aspects of children’s school life and enhancing parents’ capabilities for caring and nurturing their kids. We can look at ABCYa! as similar to Funbrain except that ABCYa! only covers educational games for children who are in the curricular ages of kindergarten to the 5th grade. Funbrain extends this up to the 8th grade. However, ABCYa! does have a pre-K category which Funbrain doesn’t have. The educational games have been carefully designed to augment the learning of children in different year levels. These games are now also made available on iOS devices by downloading the ABCYa! app. What We Like about It – ABCYa! has been featured in leading magazines, national dailies, and news organizations in the country. While it only features educational games, no videos, it does provide a great tool for kids to learn important concepts related to their classroom subjects. Do you have a kid who is deeply fascinated with computers, especially the programming aspect? While Scratch was primarily intended for 8 to 16 year old kids, the website is now a favorite venue by children, teens, and adults alike who would like to learn how to create very simple computer programs of their own without the techno-babble of most mainstream computer textbooks. Children are encouraged to learn very simple concepts in computer programming, create their very own interactive programs, and then share these in cyberspace. Who knows, your kid just might become the next computer whiz kid? What We Like about It – Scratch is an excellent website for teaching kids to use their creativity in thinking, to utilize systematic reasoning, and to learn to work collaboratively with others. These are very essential skills that kids need for the 21st century. Ditch Google Maps. Keep your round globe. If you have a kid who wants to travel anywhere in the world without necessarily having to shell out any money and without having to leave your home, the Google Earth is the answer. There are stunning images of the sky and the great oceans of the world in full color to provide your kid with a fantastic experience of traveling the world right in his or her own seat. Google Earth also features a Learn mode where kids can learn to master the basic and advanced functions of Google earth until such time that your kid can already build his or her very own 3D building model using Sketchup. If you’ve been using Google Maps, you really have to switch to Google Earth to see the remarkable difference. What We Like about It – Google remains one of the most trusted names on the internet. The superb features of Google Earth make traveling a real joy especially for kids. We owe much of our progress today to the curiosity, ingenuity, and persistence of engineers and builders for having designed and fabricated many of the things we now enjoy today. From faster and lighter airplanes that burn less fuel than ever before to the use of ultra-strong materials that can deflect heavy projectiles without necessarily affecting the weight, these technologies have to start somewhere. Curiosity Machine aims to provide the fuel for children to build and to create things. Featuring a variety of design challenges, Curiosity Machine encourages children to plan, build, and test their creations before redesigning them for further refinements. There are videos of exciting and truly cutting edge inventions that are geared to motivate children’s desire to create. What We Like about It – Curiosity begets innovation. Curiosity Machine provides the right stimulation for kids to use their imagination and creativity in the building of something truly great. Can you still remember how our teachers used flashcards to help us learn the more important concepts in class? Well, Brainscape is technically like these flashcards, only better. The website allows you to create your very own flashcards that you can then share and study together on any internet-enabled device. You can also browse through an extensive collection of flashcards across a variety of subjects that have been created by teachers, students, and publishers. What We Like about It – It’s a wonderful resource for improving the rate of learning by kids. A very popular educational website, Kids Know It is more like a treasure chest of everything that kids love. There are educational activities, learning programs, movies, products, worksheets, and even fun kids’ games. It’s got many of the most common subjects that kids often find interesting in school such as astronomy, biology, and human biology. Is your kid having problems with math or chemistry? Kids Know It also has a section dedicated for such subjects. There are sections on geography, animals, geology, spelling, history, and even dinosaurs. Each of these subjects is fully complemented with colorful and fun learning activities including supplementary educational videos and other media. What We Like about It – It’s like having the school and a fun house in one particular website. The wealth of knowledge that kids will derive from the website is simply exceptional. While it is originally children’s programs aired on television, PBS Kids, formerly the PTV Block, is now online enabling kids to enjoy truly educational videos as well as games right in their computers as well as other internet-enabled devices. There are apps, albums, kids’ programming episodes, e-books, and many more. These are all intended to help children learn basic and advanced concepts and principles which can aid them in their studies. The best part of the website content is that it has been fully optimized for both desktop and mobile device screens. The use of a responsive web design allows for excellent user experience. And since the primary users of these apps and programs are children, the ease of navigation should really provide a great and fun experience for them. What We Like about It – You can be sure that the learning or educational content of the apps and other materials in the PBS Kids are highly appropriate for their intended young audiences. The Curious World should not be confused with Curiosity Machine. The latter is more about encouraging children to build or create things by solving the variety of design challenges that are provided by experts. On the other hand, Curious World is more like a supplementary online learning resource that is geared towards children’s mastery of concepts and principles related to the learning curriculum. Curious World provides an opportunity for kids to gain access to a great array of educational videos, books, and learning games that are aimed at stimulating and engaging young minds. You are expected to create an account or a profile for your kid. Once this has been completed, the application will use a variety of algorithms to create a recommendation for your kid as to what he or she should be reading, watching, or even playing. This allows for customized learning based on the personal characteristics of your child. What We Like about It – With an extensive library of educational content, Curious World is one very responsive website that takes into full consideration the characteristics of the learner. At any rate, your child will have fun learning because he or she will be given materials that are really interesting to him or her. One of the most influential television channels among the youngest members of the population is Baby TV. For us adults, the channel may bore us to death. However, young children especially babies and toddlers love the programming as it comes with a lot of shows that provide sensory stimulation. Baby TV Video is the online version of the TV programming and comes with the same fun and baby-entertaining TV programs. Complementing the TV shows are kiddie games that babies and toddlers will surely enjoy. There’s even a TV programming and fun activities selection for moms and dads. This is the perfect website for families who have very young tots. What We Like about It – When it comes to babies and toddlers, Baby TV has done an exceptional job of entertaining and stimulating the youngest members of our families. Educational websites don’t need to be boring. These need to stimulate the interest of children of certain age groups so that learning can be facilitated in a more fun and entertaining way. We know that most classroom discussions are already highly structured that sometimes kids actually don’t have any control on what they are learning. As such, one of the parameters that we had to consider in our selection process has something to do with the amount of fun and variety that kids can get. It is without a doubt that the website must serve an educational or learning purpose whether it is for enhancing kids’ understanding of general information or even playing some computer games that are designed to deliver a particular learning content. We also took note of the different subjects that these websites specialize on and evaluated how such content will be able to assist in the learning of children. Certainly, we chose only those that are considered to be child-friendly and have developmentally-appropriate content. For instance, if a website is designed primarily for toddlers, then it is imperative that all of its website content, including its design, should be commensurate to the developmental capabilities of toddlers. It is imperative that these online educational resources provide information and entertainment that are really appropriate to the age of kids that these websites are aiming to assist or support. First used as a mode of distance learning, online learning was initially used by adult students who wished to finish a degree but could not complete it in a traditional classroom setup simply because they are already working. Today, the same concept has been used in K-12 education to help provide freedom and convenience to children to study their learning materials at their own pace. While some parents are not really receptive to the idea of enrolling kids in virtual elementary schools, a greater majority are now opting for online learning for their kids. One of the most often cited reasons is the convenience both for kids and their parents. Because the kid is technically attending classes without leaving his or her home, there is no need for getting up early to catch the school bus. There is also no need to prepare lunch. You don’t also need to drive your kid to school and then bring him or her home again. Secondly, it teaches kids how to become independent and be responsible for their own learning. As many online learning activities are based on the premise that the learner studies at his or her own pace, kids will have to learn how to manage their time very well. Many virtual schools also provide a very individualized online learning curriculum that fits the academic needs of the child. Such programs help pinpoint a child’s academic strengths so these can be reinforced while providing help or assistance on those academic areas where the child is having difficulty. There are many other benefits of online learning for kids. What’s important is to consider also what your child wants. It may be cool to be learning online. But, if your kid prefers the physical presence of his or her friends or classmates, then a traditional learning environment is needed. Educational websites exist for a reason: to help our children become a lot better than we have ever been. With the 15 really amazing educational websites for kids in 2017, we’re absolutely positive your child will be on the right track.